Describe about the Case Study on Seal Tight Company? The income statement of the Seal Tight Company has been presented in the case study. It is important to estimate the growth in net sales over the years for analyzing the performance of the company (Johnson, Redmon & Mawhinney, 2001). From the income statement of the company, sales figure has been extracted for five years and it will be analyzed. It has been observed that the net sales have grown over the years. However, in 2012 the amount of net sales has declined. The following table demonstrates the net sales growth over the years. The following chart depicts the annual net sales. The chart clearly indicates that the net sales have been indicating consistent increase till 2011. For example, sales growth has been estimated to be 12.50%, 6.67% and 14.58% in 2008, 2009 and 2010 respectively. However, the net sales have declined by 3.64%. It can be inferred that the performance of the company is declining. Hence, necessary steps must be taken by the management to enhance the level of sales in the next financial years (Ingram, 2004). This section will focus on discussing the change in net profit level over the five years period. Additionally, the change in the net sales level will also be estimated. Therefore, these two factors will be compared for analyzing the performance of the company (Johnson, Redmon & Mawhinney, 2001). The following table helps in understanding the change in the level of net profit as well as change in the net sales over the five years. It can be found that the net sales level has continuously increased till 2011. However, the net sales level is found to be declined by 3.64% in 2012. Therefore, the net profit level of Seal Tight Company has declined by 10% in 2009. Again, the net profit of the company has increased in 2010. On the other hand, in 2011, the net profit has significantly declined by 26%. In the following year, the company has managed to enhance the net profit level (Ingram, 2004). The following chart has been drawn to compare the change in the net sales level and change in the net profit of Seal Tight Company. 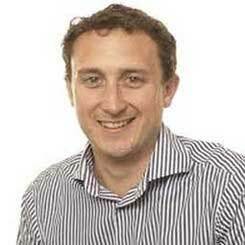 The change in net level of sales and change in profit has demonstrated contradictory results. It has been found that, in 2009 the net sales level has enhanced by 10% and the profit level has declined by 12%. In 2010, both sales and profit of the company has increased. However, it has been found that the net sales have only increased by 6.67% while the net profit has grown by 33%. It can be explained by the change in level of expenditure (Ding, Stolowy & Baker, 2003). It has been found that that with increase in sales, the cost of goods sold has not increased accordingly. 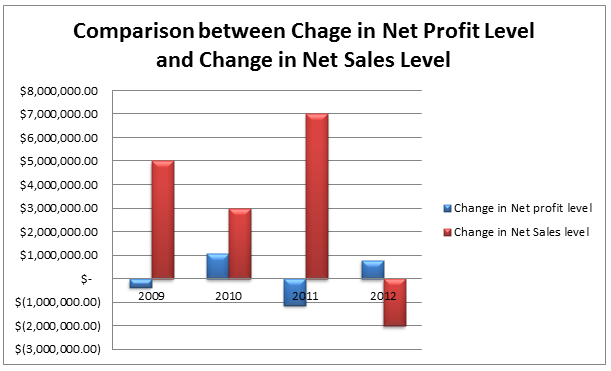 Again in 2011 and 2011 the change in net sales and change in level of profit has demonstrated contradictory result. It can be explained by the change in the expenditure and cost of goods sold (Ingram, 2004). This section will focus on analysis of the expenditure of Seal Tight Company. The selling and administrative expenses, depreciation (non cash expense) and the interest expenditure will be discussed. The following table helps in demonstrating the expenditures of the company over the five years period of time. The following chart will help in providing an insight to the expenditure related to selling and administrative activities, depreciation and interest (Birn & Forsyth, 2002). From the above table and chart it can be found that the selling and administrative cost has been highest among these three items for the five consecutive years. These three items of expenditure are not associated with the level of sales. The selling and administrative cost has grown moderately for the first four years. However, it has been observed that in 2011 and 2012, the administrative and selling expenditure has remained the same in case of Seal Tight Company. From the expenditures relating to depreciation, it can be found that the company the cost related to depreciation is enhancing over the years. However, it must be noted that this is non cash expense (Ding, Stolowy & Baker, 2003). Among these three expense items, interest expense is considered to be the minimum. From the above table and chart, it can be found that the interest expense has been increasing over the years. It is important to control the costs in order to enhance the profit margin (Zoltners, Sinha & Lorimer, 2009). From the above table and chart, it can be found that in terms of sales, Seal Tight Company is the market leader. Over the five years period of time, Seal Tight has been able to maintain better performance in comparison to the other companies. However, in 2008, the sales figure of Superior Can Company had exceeded the sales value of Seal Tight Company by $ 1,000,000. In the following years, the net sales of Seal tight have been significantly higher than the other two companies. The performance of Metalmax Company has been lowest in terms of sales value. It is evident that Seal Tight must focus on adopting effective strategies in order to maintain its position in the extensively competitive market (Ingram, 2004). Birn, R., & Forsyth, P. (2002). Market research. Oxford, U.K.: Capstone Pub. Ding, Y., Stolowy, H., & Baker, C. (2003). Income statements by nature and analysis of company performance. Jouy-en-Josas: Groupe HEC. 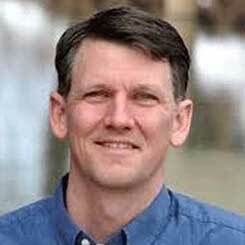 Ingram, T. (2004). Sales management. Mason, Ohio: Thomson/South-Western. Johnson, C., Redmon, W., & Mawhinney, T. (2001). Handbook of organizational performance. New York: Haworth Press.